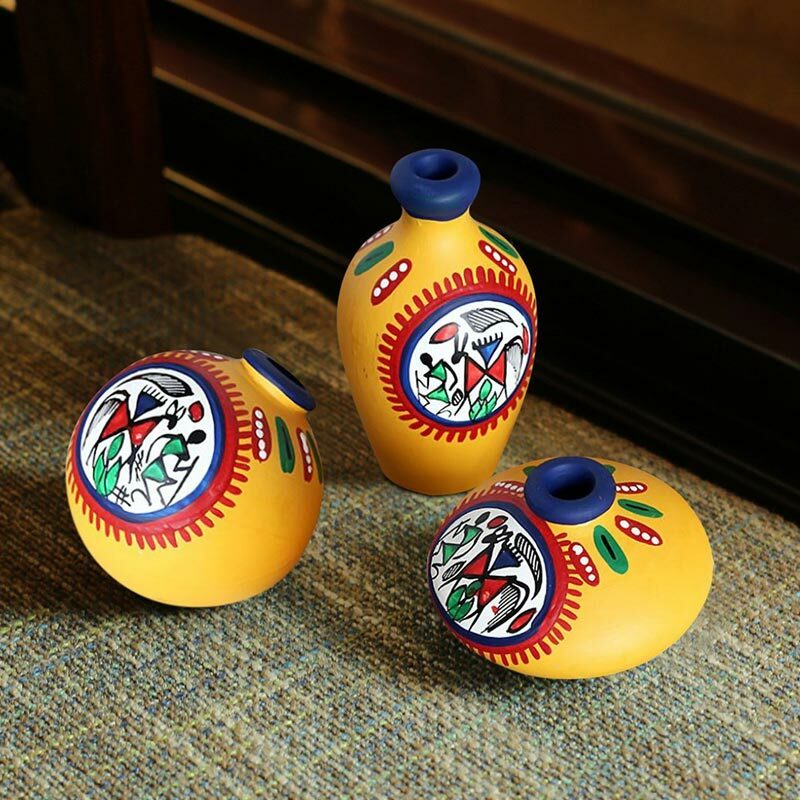 Handmade & Handcrafted by Indian Craftsmen. 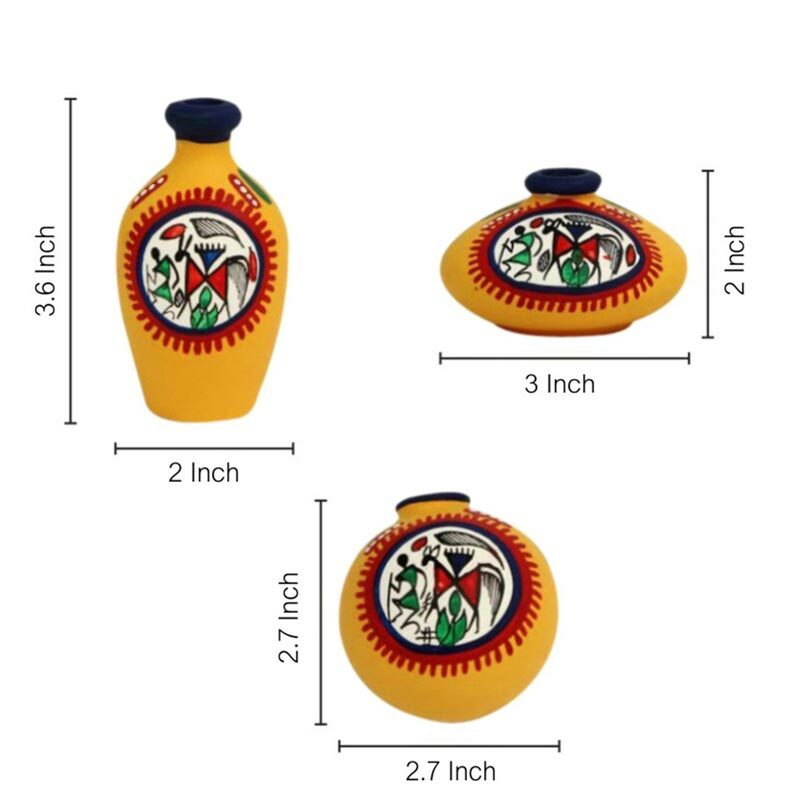 – A very charming and ethinic bright yellow earthen miniatures set of 3 in terracotta in unique shapes with handpainting of working men on the pots with red, blue and green paint. – The red border on the top makes the set look very beautiful when decorated tastefully. – You can put these on a shelf or on your side table.